Protests in France continued over the weekend, as citizens vented their rage at the inequalities that continue to chew away at their standards of living. 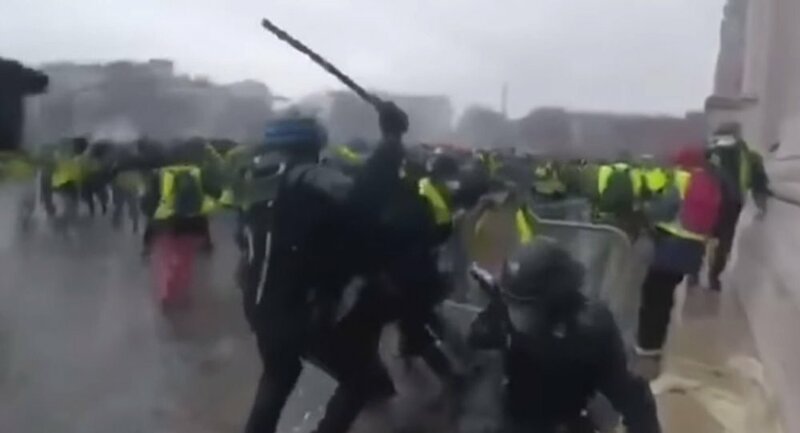 The most recent flurry of demonstrations in Paris was prompted by an increase in gasoline taxes approximately three weeks ago. Outrage in the streets reached a peak on Saturday. The "gilets jaunes" (or "yellow jackets") movement was kicked off by resentment among working- and middle-class French residents flustered by the increasing cost of living in the country and the high taxes used to pay for government reforms. The group wears the yellow jackets since all French motorists are required by law to carry these fluorescent outer layers. "People work and pay a lot of taxes, and we are fed up. All the politicians are receiving large sums of money, but only crumbs remain for the people," Paris resident Rabah Mendez told the Wall Street Journal. Across France, the protests have resulted in three deaths and more than 260 injured. Authorities have made more than 412 arrests in Paris alone.